Directed by Dominic Sena, “Kalifornia” centres on two couples and takes place on the road. On the one hand, we have an intelligent pair of up-and-coming journalists: Brian Kessler and Carrie Laughlin, played by David Duchovny and Michelle Forbes, who are in the midst of an important Serial Killers book project and who are eager to reach the coast of California in the hope of a better life. On the other hand, we have two beaten-down-by-life vagabonds: Early Grayce and Adele Corners, played by Brad Pitt and Juliette Lewis, who are easily labelled as “white trash” in the film and who are accustomed to the life of crime and delinquency, wanting nothing more than a ride across the US at someone else’s expense. 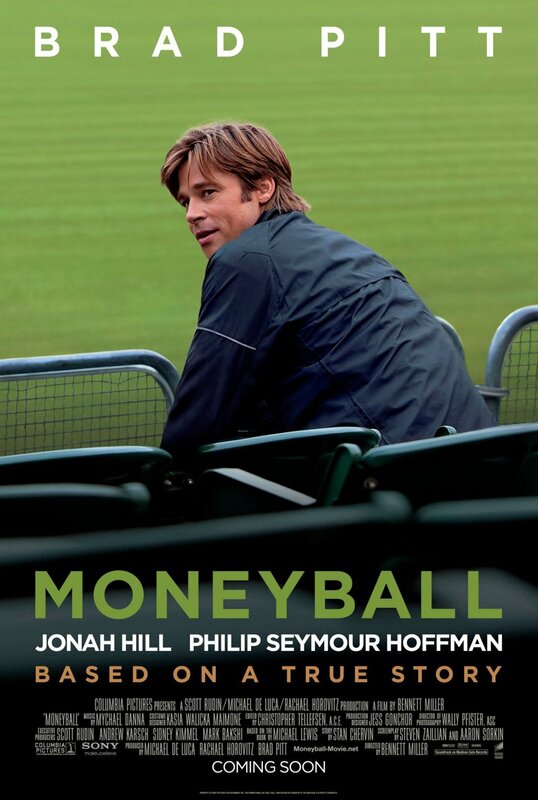 A chance meeting between the two pairs sets an unimaginable chain of events. Coming from Steve McQueen (director of ‘Shame‘ (2011)), ‘12 Years a Slave’ can now be comfortably described as this year’s cinematic sensation. The film, based on a self-autobiographical novel by Solomon Northup, tells the story of a black free man, who lives a happy family life in Saratoga, New York in 1841. After he is tricked, kidnapped and sold into slavery in the South, his life turns up-side-down, and a once brilliant musician and an educated family man is now forced to endure an unjust hard life of a slave in Louisiana. The film is very truthful to Northump’s novel, and is filled with so much realism that when one of the characters at the end of the film starts talking about freedom and black people’s rights, the audience may find it hard to believe a word he says – so engrossed they have become in the political/social ideology of that time and in black people’s lives on a plantation in Louisiana. 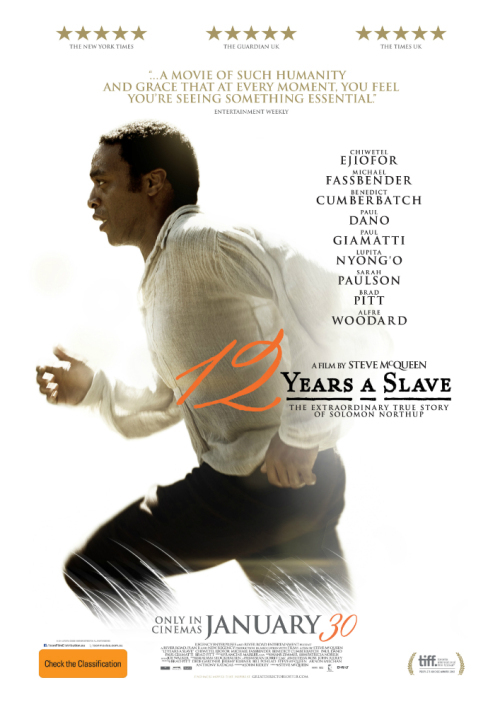 ’12 Years a Slave’ is a new film by Steve McQueen, the director who also brought us ‘Hunger’ (2008) and ‘Shame’ (2011). 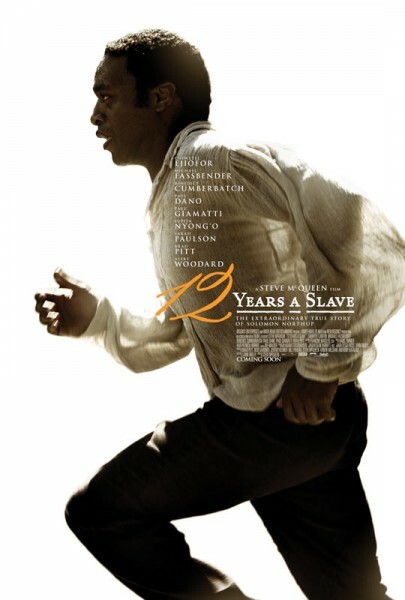 The film is based on a true story of a free black man from New York, Solomon Northup (Chiwetel Ejiofor), who was abducted and sold into slavery in Louisiana. The film portrays Solomon’s journey to regain his freedom, escaping a cruel plantation owner, Edwin Epps (Michael Fassbender), while at the same time striking up friendships with such people as a Canadian carpenter and outspoken abolitionist, Mr Bass (Brad Pitt). According to many polls around the world, Steve McQueen’s ‘12 Years a Slave’ is an early frontrunner for the Oscar Award 2014, along with Lee Daniels’ ‘The Butler’, David O. Russell’s ‘American Hustle’ and the Coen Brothers’ ‘Inside Llewyn Davis’.